Fansite, Prometheus-Movie.com, is currently having a competition where you can win a UK Prometheus poster and an IMAX poster. All you have to do is be a registered member and find the specially-tagged images. You must locate all the images in our Prometheus Image Gallery which have been tagged by the Yutani Corporation and report them to our administrative team at info@Prometheus-Movie.com! 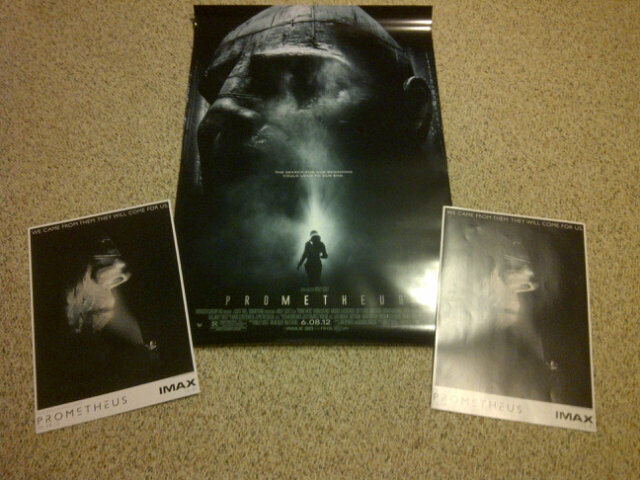 If you manage to find them all and report them within 5 days – you will be rewarded with a prize of Prometheus Posters. The first five people to find all the images will win the posters. The competition is worldwide and closes July 15th. Check out the competition page for full details. Don’t worry if you don’t win one this time.. they’ll be doing more in the coming weeks/months.